Caffeine and L-theanine can act synergistically to improve alertness and attention. L-theanine can also potentially reverse some of the less favorable physiological effects of caffeine - including increased blood pressure, and reduced flow of oxygenated blood to the head. Multiple studies have shown that caffeine and L-theanine have synergistic effects on cognition. Figure 1. Psychological Effects of placebo, caffeine, L-theanine, and caffeine + L-theanine. 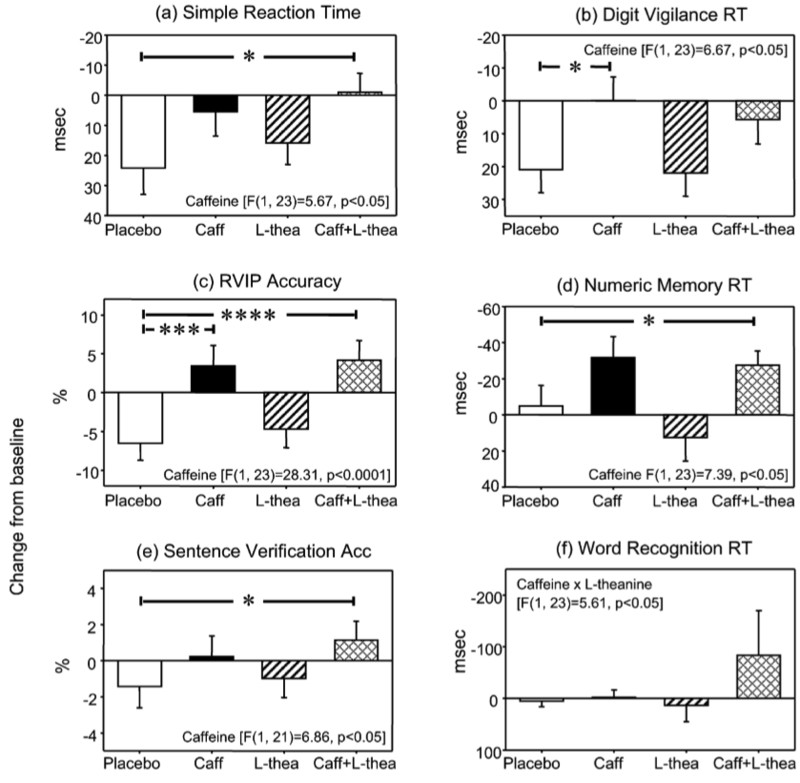 For caffeine and theanine, statistically significant improvements in simple reaction time, rapid visual information processing (RVIP), numeric memory reaction time, sentence verification accuracy, and word recognition reaction time were observed. Figure 2. 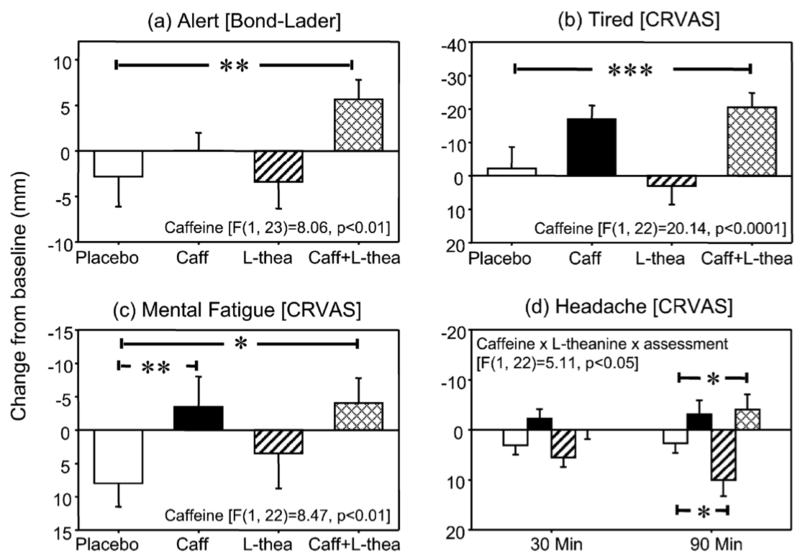 In addition to objective improvements in cognitive function, caffeine and L-theanine also result in self reported improvements in alertness as measured by the Bond-Lader scale, reduced tiredness and mental fatigue ratings, and reduced headache ratings at 90 minutes post administration (as opposed to caffeine alone, which increased headache ratings at the same time point).